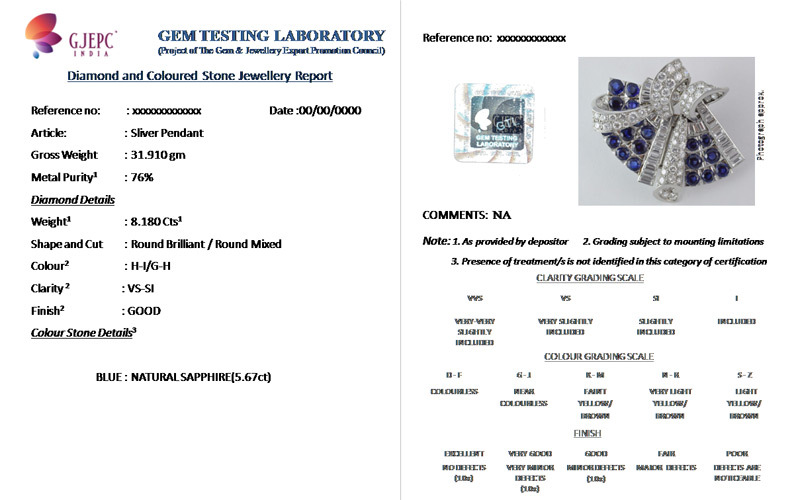 These are collective reports for diamonds and / or colour stones set in a piece of jewellery piece, which carries the identification of gemstone/s and 4 C (colour, clarity, cut and carat weight) quality grade of diamonds. Due to mounting limitations, finish quality of diamonds are specified rather than cut proportions. Presence or absence of treatments is not mentioned in this category of certification. 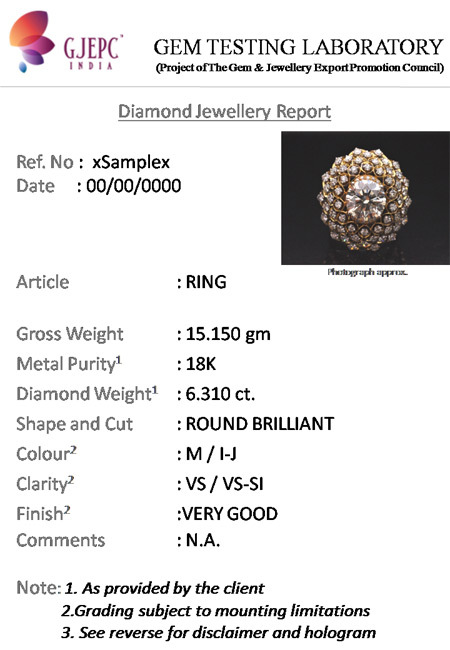 Weight of diamonds / coloured stones, metal used and its purity is mentioned on the reports as provided by client. Presence of simulants / imitations are specified on the reports and marked accordingly. 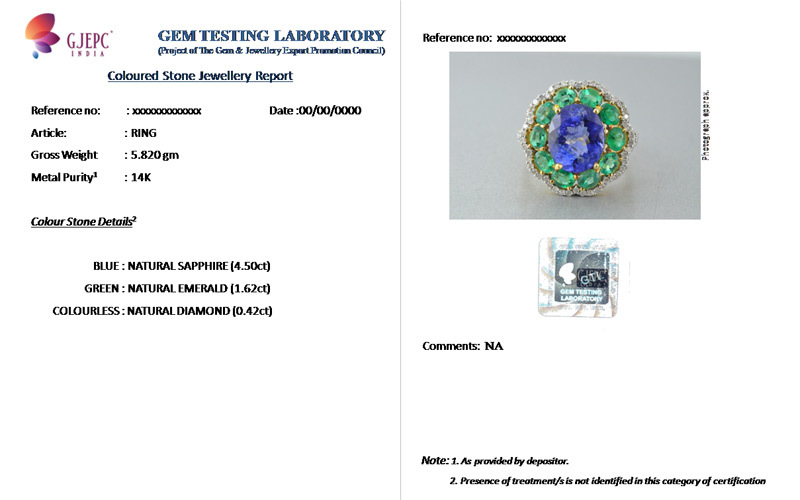 Each report will be laminated, carries a colour photograph of the jewellery piece been graded, a unique QR-code for report verification and a 3D hologram, which reads the logo of the Gems & Jewellery Export Promotion Council (GJEPC) at one angle and GTL at another.